accurate real-time data collection of skills acquisition and behavior reduction. 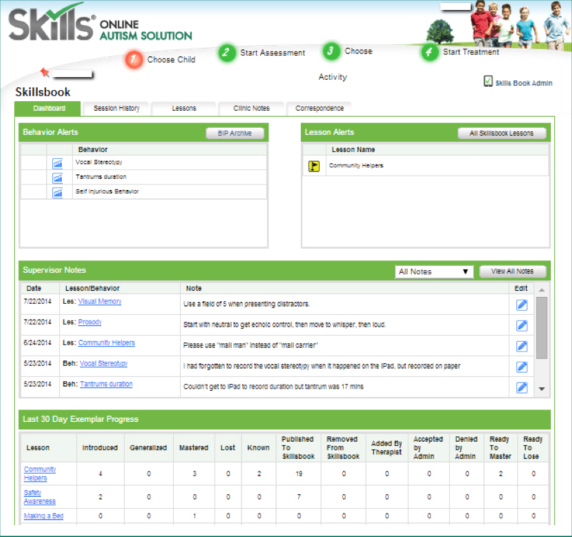 The Skills® LogBook is a comprehensive state-of-the-art mobile application that complements Skills® For Autism. 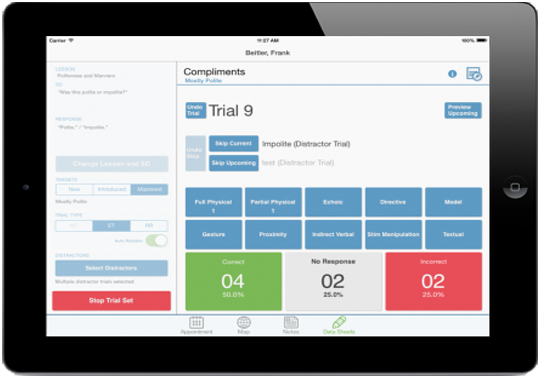 It enables efficient and accurate real-time data collection in class or during applied behavior analysis (ABA) treatment, facilitates team communication, and provides instant programming updates and progress tracking. With a clean, simple and intuitive design and complete integration with Skills® For Autism, the world’s most comprehensive ABA assessment and curriculum for autism treatment – implementation and adoption become easy for professionals and seamless to learners.